By popular request, Mandles are now available in tealights. Each pack contains 6 tealights, with a burn time of approx. 4 hrs. each. 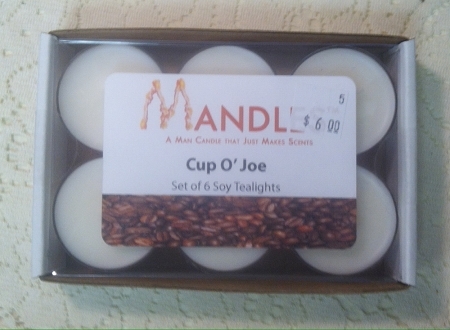 Not all Mandle scents are available as tealights.